The song’s chorus echoes “Aint No Cure for the Summertime Blues.” Fewer people remember the oldies classic every year but the words still ring true for skiers. It seems there is always something else to see there. The cliff flanked ridge allows unparalleled views of the Catskills to the north as well as the Hudson Highlands to the south. The cliffs themselves, are unbelievable. The underside, which you can’t see, is a shale reminiscent of the Catskills that been smeared like a cake’s frosting with a hard white quartzite on top. It renders the cliffs gleaming and much more durable. Four agencies work together to manage the most spectacular sections of the Gunks, all near New Paltz. 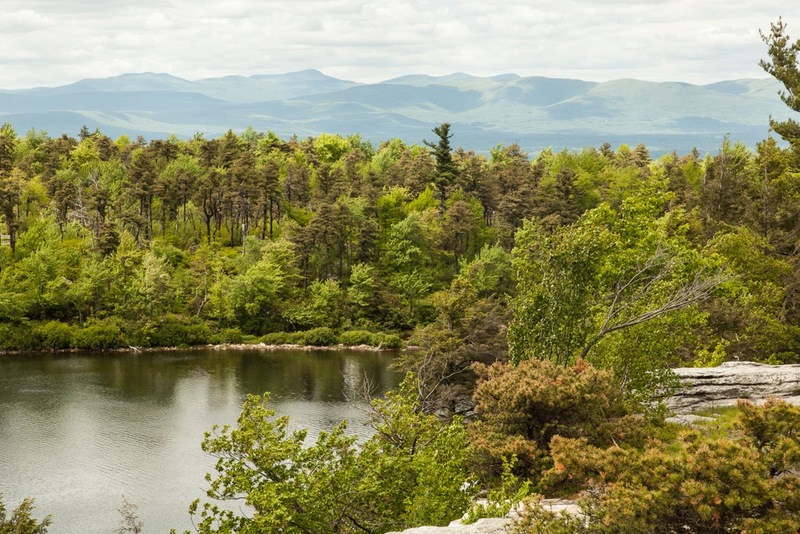 They are Sams Point Preserve, Lake Minnewaska State Park, Mohonk Preserve, and the luxurious Mohonk Mountain House. There is a huge emphasis on nature here, but it seems a harmonious balance with recreation has been struck. 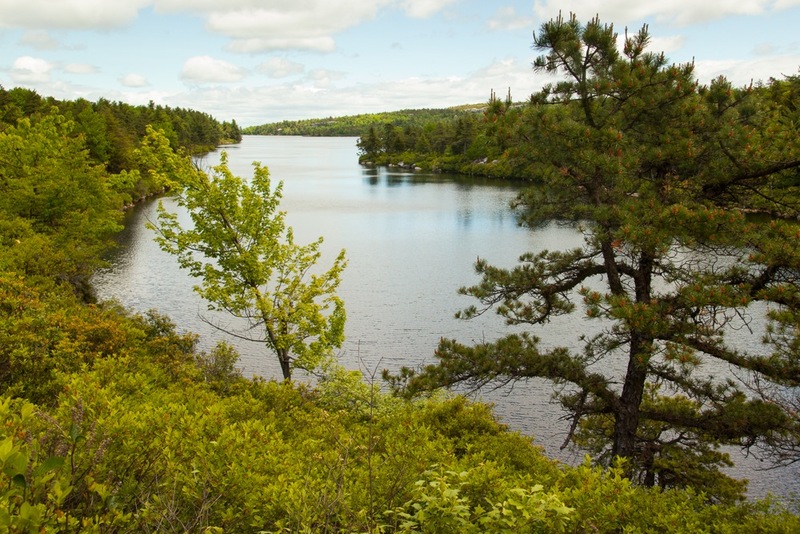 The carriage roads are used by bikers and nordic skiers, there are several foot paths for hikers, and many areas are open for world class climbers. One issue for some is the lack of affordable campground. Still fewer overnight guests do keep the area a little more wild, particularly if you hike a little farther. Our group made it to Lake Awosting but trail closures pushed us onto a path we might have otherwise missed. The entire carriageway to Castle Point is stunning. Giant hawks were cruising in the sky and the clean beneath our feet refreshed us as we hiked along the cliffs edge. From there we took the oddly named Scenic Trail to Awosting, passing through the trees to find the Wolf Jaw, and onto openings in the sky on Murray Hill, and Margaret Cliff. Awosting gets far less traffic than Minnewaska, and we were able to find a quiet place to eat and enjoy the lake. 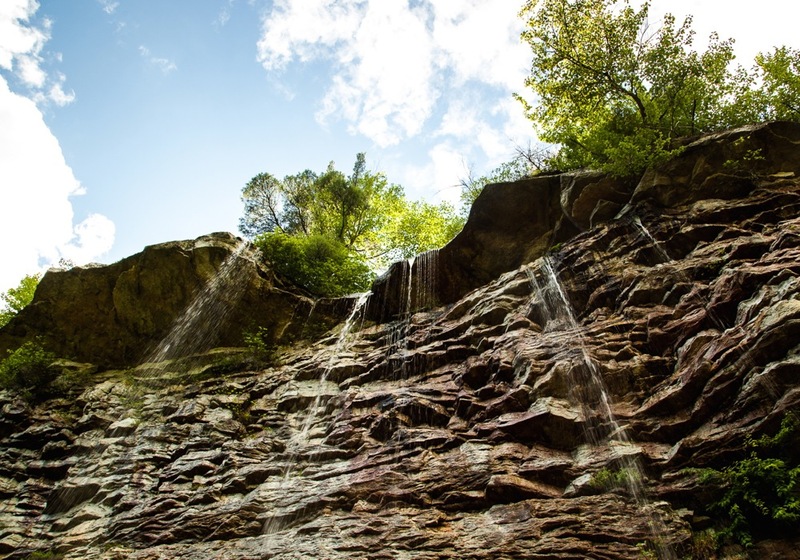 The Scenic Trail is well worth hiking, but lacks vistas as you’re guided through a thick forest, with only occasional openings as treats sprinkled throughout the route. We trail ran most of the way back after dawdling around the lake. It’s hard to say no to waterfalls and we made the effort to see Rainbow Falls and Awosting Falls before heading home. That still leaves at least half a dozen worthwhile ones for future excursions, and I can’t wait to get back. 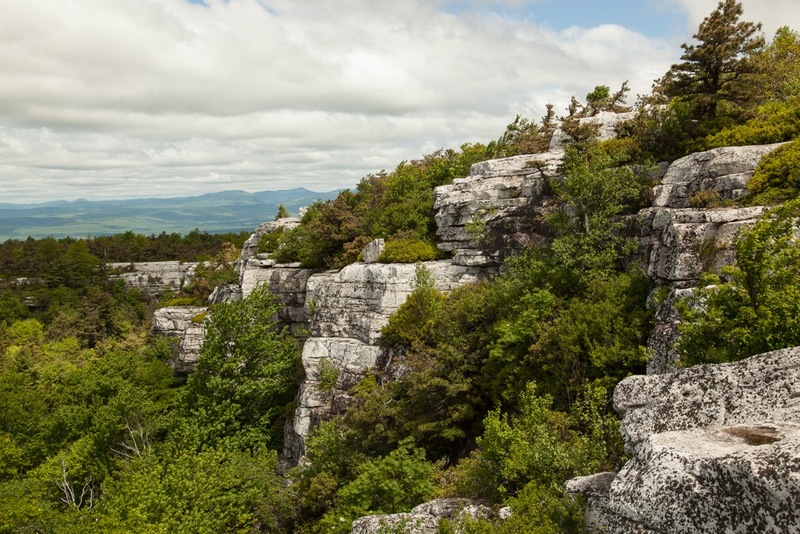 The entire Mohonk-Minnewaska-Sam’s Point locale is a gem, unknown to most New Yorkers. For Memorial Day 2013 we tried a visit to the Ice Caves at Sam’s Point but they were still closed due to an overabundance of ice. We hiked around Lake Maratanza instead and it was well worth it. Great views from Sam’s Point itself. Dwarf pine forest on one side of the lake and a non-staffed weather station on the other lend an X-Files-like creepiness to the scene. Abandoned blueberry shacks off the downhill road on the return path. 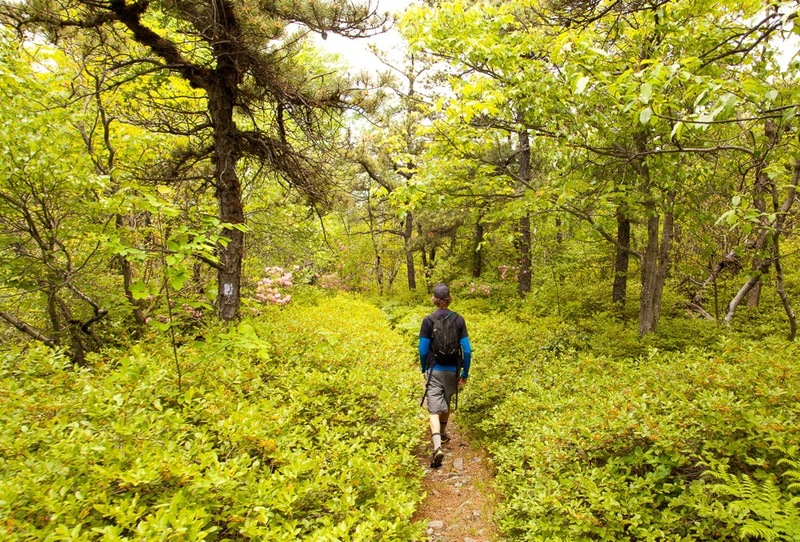 An easy hike for kids. Good job ml242. There’s just miles and miles of running/hiking options up there. And don’t forget biking. Nice and fast carriage trail biking for the beginner to intermediate mountain biker, with spectacular views of the Hudson Valley at times. Great road ride is a loop from New Paltz up past the park entrance and back to town by war of Mohonk on the other side. Lot’s of climbing.